Schlesinger, W.H. and E.S. Bernhardt. 2013. Biogeochemistry: an analysis of global change, 3rd edition. Academic Press. 672pp. Helton, A.M., M. Ardón and E.S. Bernhardt. 2019. Hydrologic context alters the greenhouse gas feedbacks to coastal wetland salinization. Ecosystems. Online first. Reinhold, A.M. G.C. Poole, A.M. Helton, E.S. Bernhardt, and C. Izurieta. 2019. Constraint-based simulation of multiple interactive elemental cycles in biogeochemical systems. Ecological Informatics 50: 102-121. Wen, Y., E.S. Bernhardt, W. Deng, W. Liu, J. Yan, E.M. Baruch, C.M. Bergeman. 2019. Salt effects on organic carbon decomposition in southeastern coastal wetland soils of the United States. Geoderma 339: 31-39. ​Blaszczak, J.R., J. M. Delesantro, D. L. Urban, M.W. Doyle, and E. S. Bernhardt. 2019. Scoured or suffocated: Urban stream ecosystems oscillate between hydrologic and dissolved oxygen extremes. Limnology and Oceanography. Online first. Rocca, J.D., M. Simonin, J.R. Blaszczak, J.G. Ernakovich, S.M. Gibbons, F.S. Midani, and A.D. Washburne. 2019. The Microbiome Stress Project: Toward a Global Meta-Analysis of Environmental Stressors and Their Effects on Microbial Communities. Frontiers in Microbiology. Online first. Brandt, J.E., N.E. Lauer, A. Vengosh, E.S. Bernhardt, and R.T. Di Giulio. 2018. Strontium isotope ratios in fish otoliths as biogenic tracers of coal combustion residual inputs to freshwater ecosystems. Environmental Science and Technology Letters 5: 718-723. Appling, A.P. ; Read, J.S. ; Winslow, L.A.; Arroita, M., Bernhardt, E.S. ; Griffiths, N.A. ; Hall, R.O. ; Harvey, J.W. ; Heffernan, J.B.; Stanley, E.H.; Stets, E.G. ; Yackulic, C.B. 2018. The metabolic regimes of 356 rivers in the United States. Nature Scientific Data 5: 180292. Bhattachan, A., Emanuel, R.E., Ardon, M., Bernhardt, E.S., Anderson, S.M., Stillwagon, M.G., Ury, E.A., Bendor, T.K. and Wright, J.P., 2018. Evaluating the effects of land-use change and future climate change on vulnerability of coastal landscapes to saltwater intrusion. Elem Sci Anth, 6(1), p.62. Colman, B.P, L. Baker, R.S. King, C. Matson, J. Unrine, S. Marinakos, D. Gorka, E.S. Bernhardt. 2018. Dosing, not the dose: comparing chronic and pulsed silver nanoparticle exposures. Environmental Science and Technology 52: 10048-10056. Ross, M.R.V., F. Nippgen, B,A. Hassett, B.L. McGlynn, E.S. Bernhardt. 2018. Pyrite oxidation drives exceptionally high weathering rates and geologic CO2 release in mountaintop‐mined landscapes. Global Biogeochemical Cycles 32: 1182-1194. Covino, T., E.S. Bernhardt and J.B. Heffernan. 2018. Measuring and interpreting relationships between nutrient supply, demand, and limitation. Freshwater Science 37: 448-455. Pericak, A.A., C. Thomas, D. Kroodsma, M. Wasson, M.R.V. Ross, E.S. Bernhardt, J. Amos, N. Clinton, D. Campagna, Y. Franklin. 2018. Mapping the yearly extent of surface coal mining in Central Appalachia using Landsat and Google Earth Engine. PLOS One 13(7): e0197758. M. Simonin, B.P. Colman, S.M. Anderson, R.S. King, M.R. Ruis, A. Avellan, C.M. Bergemann, B.G. Perrotta, N.K. Geitner, M. Ho, B. de la Barrera, C. J. Richardson, M.R. Wiesner, E.S. Bernhardt. 2018. Engineered nanoparticles interact with nutrients to intensify eutrophication in a wetland ecosystem experiment. Ecological Applications. 28: 1435-1449. Baruch, E.M., K.A. Voss, J.R. Blaszczak, J. Delesantro, D.L. Urban, E.S. Bernhardt. 2018. Not all pavements lead to streams: variation in impervious surface connectivity affects urban stream ecosystems. Freshwater Science. 37: 673-684. Rohr, J., E.S. Bernhardt, M. Cadotte and W. Clements. 2018. The ecology and economics of restoration: When, what, where, and how to restore ecosystems. Ecology and Society 23: 15. Bernhardt, E.S., J.B. Heffernan, N.B. Grimm, E.H. Stanley, J.W. Harvey, M. Arroita, A.P. Appling, M.J. Cohen, W.H. McDowell, R.O. Hall, Jr., J.S. Read, B.J. Roberts, E.G. Stets, and C. Yackulic. 2018. The metabolic regimes of flowing waters. Limnology and Oceanography 63: S99-S118. Gerson, J.R., C.T. Driscoll, H. Hsu-Kim and E.S. Bernhardt. 2018. Senegalese artisanal gold mining leads to elevated total mercury and methylmercury concentrations in soils, sediments, and rivers. Elementa 6: 11. Nippgen, F., M.R.V. Ross, E.S. Bernhardt, B.L. McGlynn. 2017. Creating a more perennial problem? Mountaintop removal mining enhances and sustains baseflows of Appalachian watersheds. Environmental Science and Technology 51: 8324–8334. Ardón, M., A.M. Helton, M.D. Scheuerell, and E.S. Bernhardt. 2017. Fertilizer legacies meet saltwater incursion: challenges and constraints for coastal plain wetland restoration. Elementa Science of the Anthropocene 5:41. Arnold M.C., R.L. Bier, T.T. Lindberg, E.S. Bernhardt, R.T. Di Giulio. 2017. 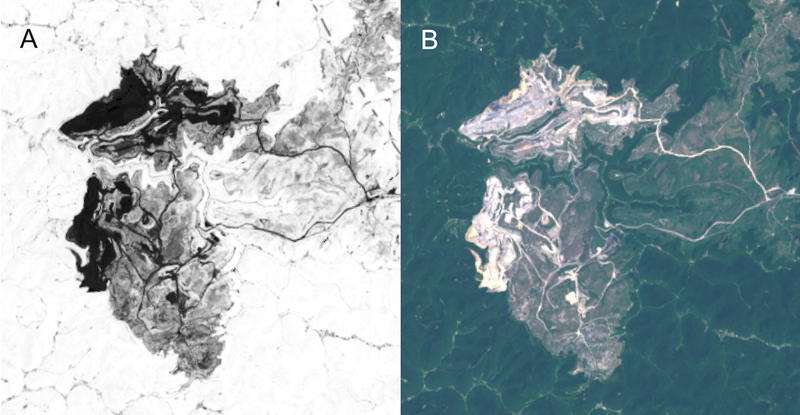 Biofilm mediated uptake of selenium in streams with mountaintop coal mine drainage. Limnologica 65:10-13. Voss, K.V. and E.S. Bernhardt. 2017. Effects of mountaintop removal coal mining on the diversity and secondary productivity of Appalachian rivers. Limnology and Oceanography 62: 1754-1770. Bernhardt, E.S., E.J. Rosi and M.O. Gessner. 2017. Synthetic Chemicals as Agents of Global Change. Frontiers in Ecology and the Environment. 15(2): 84–90. Bernhardt, E.S., J.R. Blaszczak, C.D. Ficken, M.L. Fork, K.E. Kaiser, E.C. Seybold. 2017. Control Points in Ecosystems: Moving Beyond the Hot Spot Hot Moment Concept. Ecosystems. 20: 665-682. Lee, M.R., E.S. Bernhardt, P. M. van Bodegom J.H.C. Cornelissen, J. Kattge, D.C. Laughlin, Ü. Niinemets, J. Peñuelas, P.B. Reich, B. Yguel, and J.P. Wright. 2017. Invasive species’ leaf traits and dissimilarity from natives shape their impact on nitrogen cycling: a meta-analysis. New Phytologist 213:128-139. Rosi-Marshall, E., E.S. Bernhardt, G.E. Likens, C.T. Driscoll and D.C Buso. 2016. Acid rain mitigation experiment shifts a forested watershed from a net sink to a net source of nitrogen. PNAS. 113: 7580–7583​. Ross, M.R., B.L. McGlynn and E.S. Bernhardt. 2016. Deep impact: Effects of mountaintop mining on surface topography, bedrock structure, and downstream waters. Environmental Science and Technology 50: 2064−2074. Singh NK, Reyes WM, Bernhardt E.S., Bhattacharya R, Meyer JL, Knoepp JD, Emanuel RE. 2016. Hydro-climatological influences on multi-decadal trends of dissolved organic carbon in a Southern Appalachian headwater stream. Journal of Environmental Quality. 45:1286–1295. Ardón, M., A.M. Helton and E.S. Bernhardt. 2016. Drought and saltwater incursion synergistically reduce dissolved organic carbon export from coastal freshwater wetlands. Biogeochemistry 127: 411–426. Gorka, D.E., JS. Osterberg, C.A. Gwin, B.P. Colman, J.N Meyer and E.S. Bernhardt. 2015. Reducing Environmental Toxicity of Silver Nanoparticles through shape control. Environmental Science and Technology 49: 10093-10098. Bier, R., E.S. Bernhardt, C. Boot, E. Graham, E. Hall, J. Lennon, D. Nemergut, B. Osborne, C. Ruiz Gonzalez, J. Schimel, M. Waldrop, M. Wallenstein. 2015. Linking microbial community structure and microbial processes: an empirical and conceptual overview. FEMS Microbiology Ecology 91: fiv113. Ross. M.R., E.S. Bernhardt, M.W. Doyle and J.B. Heffernan. 2015. Designer Ecosystems: Incorporating design approaches into ecosystem management. Annual Review of Environment and Resources. 40: 419-443. Helton, A.M., M.S. Wright, E.S. Bernhardt, G.C. Poole, R.M. Cory and J.A. Stanford. 2015. Carbon supply and bioavailability within the hyporheic zone of an alluvial river floodplain. JGR Biogeosciences 120: 693-706. Helton, A., M. Ardón, and E.S. Bernhardt. 2015. Thermodynamic constraints on the utility of ecological stoichiometry for explaining global biogeochemical patterns. Ecology Letters 18: 1049-1056. Voss, K.A., R.S. King and E.S. Bernhardt. 2015. From a line in the sand to a landscape of decisions: a hierarchical diversity decision framework for estimating and communicating biodiversity loss along anthropogenic gradients. Methods in Ecology and Evolution. 6: 795-805. Duncan, J.M., L.E. Band, P.M. Groffman and E.S. Bernhardt. 2015. Mechanisms driving the seasonality of catchment scale nitrate export: Evidence for riparian ecohydrologic controls. Water Resources Research 51: 3982-3997. Arnold, M.C., L Friedrich, T Lindberg, M Ross, N Halden, E Bernhardt, V Palace, and RT Di Giulio. 2015. Microchemical analysis of selenium in otoliths of two West Virginia fishes captured near mountaintop coal removal mining operations. Environmental Toxicology and Chemistry. 34: 1039-1044. Yang, Y., B.P. Colman, E.S. Bernhardt and M.F. Hochella, Jr. 2015. The Importance of a Nanoscience Approach in the Understanding of Major Aqueous Contamination Scenarios: A Case Study from a Recent Coal Ash Spill. Environmental Science and Technology. 49: 3375-3382. Bier, R.L., K.A. Voss and E.S. Bernhardt. 2015. Bacterial community responses to a gradient of alkaline mountaintop mine drainage in Central Appalachian streams. The ISME Journal. 9: 1378-1390. Schoepfer, V., E.S. Bernhardt and A.J. Burgin. 2014. Iron Clad Wetlands: Soil iron-sulfur buffering determines coastal wetland response to salt water incursion. JGR Biogeosciences 199: 2209–2219. Payn, R.A., A.M. Helton, G.C. Poole, C Izurieta, A.J. Burgin and E.S. Bernhardt. 2014. A generalized optimization model of microbially driven aquatic biogeochemistry based on thermodynamic, kinetic, and stoichiometric ecological theory. Ecological Modeling. 294: 1-18. Helton, A.M., E.S. Bernhardt and A. Fedders. 2014. Biogeochemical regime shifts in coastal landscapes: the contrasting effects of saltwater incursion and agricultural pollution on greenhouse gas emissions from a freshwater wetland. Biogeochemistry 120: 133-147. Appling, A.P., E.S. Bernhardt and J.A. Stanford. 2014. Floodplain biogeochemical mosaics: a three-dimensional view of soil C and N dynamics. JGR Biogeosciences. 119: 1538-1553. Carmichael, M,J., E.S. Bernhardt, S.L. Brauer and W.K. Smith. 2014. The role of vegetation in methane flux to the atmosphere: should vegetation be included as a distinct category in the global methane budget? Biogeochemistry 119:1-24. Wang, S., E.S. Bernhardt and J.P. Wright. 2014. Urban stream denitrifier communities are linked to lower functional resistance to multiple stressors associated with urbanization. Hydrobiologia. 726: 13-23. Colman, B.P., B. Espinasse, C.J. Richardson, C.W. Matson, G.V. Lowry, D.E. Hunt, M.R. Wiesner, and E.S. Bernhardt. 2014. Emerging contaminant or an old toxin in disguise? Silver nanoparticle impacts on ecosystems. Environmental Science and Technology. 48: 5229-5236. Ardon, M., J.L. Morse, B.P. Colman and E.S. Bernhardt. 2013. Drought induced saltwater incursion leads to increased wetland nitrogen export. Global Change Biology. 19: 2876-2985. Riegel, J.B., E.S. Bernhardt, J Swenson. 2013. Estimating Above-Ground Carbon Biomass in a Newly Restored Coastal Plain Wetland Using Remote Sensing. PLoS ONE 8, e68251. Colman, B.P., C.L Arnaout, S. Anciaux, C.K. Gunsch, M.F. Hochella Jr, B. Kim, G.V. Lowry, B.M. McGill, B.C. Reinsch, C.J. Richardson, J.M. Unrine, J.P. Wright, L. Yin, E.S. Bernhardt. 2013. Low Concentrations of Silver Nanoparticles in Biosolids Cause Adverse Ecosystem Responses under Realistic Field Scenario. PLOS ONE 8 (2), e57189. Sudduth, E.B., S.S. Perakis and E.S. Bernhardt. 2013. Nitrate in watersheds: straight from soils to streams? JGR-Bigeosciences 118: 291-302. Morse, J.L. and E.S. Bernhardt. 2013. Using 15N dual tracers to estimate the relative contribution of nitrification and denitrification to N2O and N2 emissions in coastal plain wetlands under contrasting land uses and soil moisture conditions. Soil Biology and Biochemistry 57: 635-643. Cha, Y., C.Stow, and E.S. Bernhardt. 2013. Dreissenid invasion impacts on chlorophyll and total phosphorus in 25 US lake ecosystems. Freshwater Biology 58: 192-206. Somers, K.A. E.S. Bernhardt, J.B. Grace, B.A. Hassett, E.B. Sudduth, S. Wang, and D.L. Urban. 2013. Streams in the urban heat island: spatial and temporal variability in stream temperatures. Freshwater Science 32: 309-326. Baron, J.S., E.K. Hall, B.T. Nolan, J.C. Finlay, E.S. Bernhardt, J.A. Harrison, F. Chan and E.W. Boyer. 2012. The interactive effects of excess reactive nitrogen and climate change on aquatic ecosystems and water resources of the United States. Biogeochemistry. 114: 71-92. Bernhardt, E.S., B.D. Lutz, R.S. King, J.P. Fay, C.E. Carter, A.M. Helton, D. Campagna & J. Amos. 2012. "How many mountains can we mine? Assessing the regional degradation of Central Appalachian rivers by surface coal mining" Environmental Science and Technology. 46: 8115-8122. Phillips, R.P., I.C. Meier, E.S. Bernhardt, A.S. Grandy, K. Wickings, A.C. Finzi. 2012. "Roots and fungi accelerate carbon and nitrogen cycling in forests exposed to elevated CO2" Ecology Letters 15: 1042-1049. Colman, B.P., S. Wang, M. Auffan, M.R. Wiesner, and E.S. Bernhardt. 2012. Antimicrobial effects of commercial silver nanoparticles are attenuated in natural streamwater and sediment. Ecotoxicology. 21: 1867-1877. Morse, J. L., M. Ardon, and E. S. Bernhardt. 2012. Using environmental variables and soil processes to forecast denitrification potential and nitrous oxide fluxes in coastal plain wetlands across different land-uses. J. Geophys. Res. Biogeosciences. 117: G02023. Lutz, B.D., P.J. Mulholland and E.S. Bernhardt. 2012. Long-term data reveal patterns and controls on streamwater chemistry in a forested stream: Walker Branch, Tennessee. Ecological Monographs. 82: 367-387. Kim B, Murayama M, Colman BP, and Hochella MF. 2012. Characterization and environmental implications of nano- and larger TiO2 particles in sewage sludge, and soils amended with sewage sludge. Journal of Environmental Monitoring 14 (4), 1128. Unrine JM, Colman BP, Bone AJ, Gondikas AP & Matson CW. 2012. Biotic and Abiotic Interactions in Aquatic Microcosms Determine Fate and Toxicity of Ag Nanoparticles: Part 1–Aggregation and Dissolution. Environmental Science & Technology 46: 6915-6924. Bone AJ, Colman BP, Gondikas AP, Newton K, Harrold KH, Unrine JM, Klaine SJ, Matson CW, Di Giulio RT, (2012) Biotic and abiotic interactions in aquatic microcosms determine fate and toxicity of Ag nanoparticles: Part 2 –Toxicity and chemical speciation, Environmental Science and Technology. 46: 6925-6933. Lowry GV, Espinasse BP, Badireddy AR, Richardson CJ, Reinsch BC, Bryant LD, Bone AJ, Deonarine A, Chae S, Therezien M, Colman BP, Hsu-Kim H, Bernhardt ES, Matson CW & Wiesner MR. 2012. Long-Term Transformation and Fate of Manufactured Ag Nanoparticles in a Simulated Large Scale Freshwater Emergent Wetland. Environmental Science & Technology 46: 7027-7036. Lindberg. T.T., E.S. Bernhardt, R. Bier, A. Helton, R. Merola, A.Vengosh, R.T. Di Giulio. 2011. Cumulative impacts of mountaintop mining on an Appalachian watershed. Proceedings of the National Academy of Sciences 108: 20929-20934. Wang, S., E.S. Bernhardt, J.P. Wright, M. Wallenstein and E.B. Sudduth. 2011. Watershed urbanization alters the composition and function of stream bacterial communities. PLOS-One 6(8):e22792. Violin, C., P. Cada, E.B. Sudduth, B.A. Hassett, D.L. Penrose and E.S. Bernhardt. 2011. Effects of urbanization and urban stream restoration on the physical and biological structure of stream ecosystems. Ecological Applications 26: 1932-1949. Helton A.M., G.C. Poole and 21 coauthors including E.S. Bernhardt. 2011. Thinking outside the channel: modeling nitrogen cycling in networked river ecosystems. Frontiers in Ecology & the Environment 4:229-238. Lutz, B.J., E.S. Bernhardt, P.J. Mulholland, B.R. Roberts and R. M. Cory. 2012. Distinguishing terrestrial and autochthonous organic matter dynamics in a forested stream using kinetic enrichments and fluorescence spectroscopy. Limnology and Oceanography 57: 76-89. Lutz, B.D., E.S. Bernhardt, B.J. Roberts and P.J. Mulholland. 2011. Examining the coupling of carbon and nitrogen cycles in Appalachian streams: the role of dissolved organic nitrogen. Ecology 92: 720-732. Yin, L., Y. Cheng, B. Espinasse, B.P. Colman, M. Auffan, M. Wiesner, J. Rose, J. Liu and E.S. Bernhardt. 2011. More than the ions: the effects of silver nanoparticles on Lolium multiflorum. Environmental Science and Technology 45: 2360-2367. Drake, J.E., E.H. DeLucia, A. Gallet-Budynek, K.S. Hofmockel, E.S. Bernhardt, S.A. Billings, R. D. Jackson, J. Lichter, M.L. McCormack, D.J. P. Moore, R. Oren, S. Palmroth, R.P. Phillips, J.S. Pippen, S.G. Pritchard, K.K. Treseder, and A.C. Finzi. 2011. Increases in the flux of carbon belowground stimulate nitrogen uptake and sustain the long-term enhancement of forest productivity under elevated CO2. Ecology Letters 14: 349-357. Ardón, M., J.L. Morse, S. Montenari, M.W. Doyle, and E.S. Bernhardt. 2010. Phosphorus export from a restored wetland ecosystem in response to natural and experimental hydrologic fluctuations. JGR Biogeosciences 115: G04031. Muehlbauer, J., M.W. Doyle and E.S. Bernhardt. 2010. Macroinvertebrate community responses to a dewatering disturbance gradient in a restored stream. Hydrology and Earth System Sciences Discussions 7:9599-9630. Ardón, M., J.L. Morse, M.W. Doyle, and E.S. Bernhardt. 2010. The water quality consequences of restoring wetland hydrology to a large agricultural watershed in the southeastern coastal plain. Ecosystems 13: 1060-1078. Palmer, M.A., H.L. Menninger, E.S. Bernhardt. 2010. River restoration, habitat heterogeneity and biodiversity: a failure of theory or practice? Freshwater Biology 55:205-222. Palmer, M.A., E.S. Bernhardt, W.H. Schlesinger, K.N. Eshleman, E. Foufoula-Georgiou, M.S. Hendryx, A.D. Lemly, G.E. Likens, O.L. Loucks, M.E. Power, P.S. White, and P.R. Wilcock. 2010. Environmental and Human Health Consequences of Mountaintop Removal Mining. Science 327: 148-149. Wenger, S.J., A.H. Roy, C.R. Jackson, E.S. Bernhardt, T.L. Carter, S. Filoso, C.A. Gibson, W.C. Hession, S.S. Kaushal, E. Marti, J.L. Meyer, M.A. Palmer, M.J. Paul, A.H. Purcell, A. Ramirez, A.D. Rosemond, K.A. Schofield, E.B. Sudduth, C.J. Walsh. 2009. Twenty-six key research questions in urban stream ecology: an assessment of the state of the science. Journal of the North American Benthological Society. 28: 1080-1098. Phillips, R.P., E.S. Bernhardt and W.H. Schlesinger. 2009. Elevated CO2 increases root exudation from loblolly pine (Pinus taeda L.) seedlings as an N-mediated response. Tree Physiology 29: 1513-1523. Wiesner, M.R., G.V. Lowry, K. Jones, M.F. Hochella, R.T. DiGiulio, E. Casman, and E.S. Bernhardt. 2009. Viewpoint. Decreasing uncertainty in assessing environmental exposure, risk and ecological implications of nanomaterials. Environmental Science and Technology 43: 6458-6462. Wright, J.P., A. Symstad, J.M. Bullock, K. Engelhardt, L. Jackson and E.S. Bernhardt. 2009. Restoring biodiversity and ecosystem function: will an integrated approach improve results? Ch. 12 in Biodiversity, Ecosystem Functioning, and Human Wellbeing: an Ecological and Economic Perspective. Naeem, Bunker et al. (eds). Phillips, R.P., Y. Erlitz, R. Bier, and E.S. Bernhardt. 2008. A new approach for capturing soluble root exudates in forest soils. Functional Ecology 22: 990-999. Poole, G.C., S.J. O’Daniel, K.L. Jones, E.S. Bernhardt, A.M. Helton, J.A. Stanford, W.W. Woessner, and B.R. Boer. 2008. Hydrologic Spirals: Conceptualizing the Hydrologic Template of Stream and River Ecosystems. River Research and Applications. 24: 1018-1031. Craig, L.S., M.A. Palmer, D.C. Richardson, S. Filoso, E.S. Bernhardt, B.P. Bledsoe, M.W. Doyle, P.M. Groffman, B.A. Hassett, S.S. Kaushal, P.M. Mayer, S.M. Smith, and P.R. Wilcock. 2008. Stream restoration strategies for reducing river nitrogen loads. Frontiers in Ecology and the Environment. 6: 529-538. Fierer, N., J.L. Morse, S. Berthrong, E.S. Bernhardt, R.B. Jackson. 2007. The landscape-level biogeography of stream bacterial communities. Ecology 88: 2162-2173. Warren, D.R., E. S. Bernhardt, R. O. Hall, Jr., G.E. Likens. 2007. Forest age, woody debris, and nutrient dynamics in headwater streams of the White Mountains, NH. Earth Surface Processes and Landforms 32: 1154-1163. Palmer, M.A., J.D. Allan, J.L. Meyer, and E.S. Bernhardt. 2007. River Restoration in the 21st Century: Data and Experiential Knowledge to Inform Future Efforts. Restoration Ecology. 15: 472-481. Bernhardt, E.S., E.B. Sudduth, M.A. Palmer, J.D. Allan, J.L. Meyer, G. Alexander, J. Follstad-Shah, B. Hassett, R. Jenkinson, R. Lave, J. McFall, L. Pagano. 2007. Restoring Rivers one Reach at a Time: Results from a survey of U.S. river restoration practitioners. Restoration Ecology. 15:482-493. Sudduth, E.B., J.L. Meyer, E.S. Bernhardt. 2007. Stream restoration practices in the southeastern US. Restoration Ecology. 15: 573-583. Phillips, R.P. 2007. Towards a rhizo-centric view of plant-microbial feedbacks under elevated atmospheric CO2. New Phytologist 173: 664-667. Hassett, B.A., M.A. Palmer and E.S. Bernhardt. 2007. Evaluating stream restoration in the Chesapeake Bay watershed through practitioner interviews. Restoration Ecology. 15:563-572. Kondolf, G.M., S. Anderson, R. Lave, L. Pagano, A. Merelender, E.S. Bernhardt. 2007. Two Decades of River Restoration in California: Trends in Implementation and Reporting. Restoration Ecology. 15: 516-523. Follstad-Shah, J.J., C.N. Dahm, S.P. Gloss, E.S. Bernhardt, and D.A. Price. 2007. River and riparian restoration in the Southwest: Results of the National River Restoration Science Synthesis Project. Restoration Ecology 15: 550-562. Bernhardt, E.S. and M.A. Palmer. 2007. Restoring streams in an urbanizing world. Freshwater Biology 52: 738-751. Bernhardt, E.S., S.E. Bunn, D.D. Hart, B. Malmqvist, T. Muotka, R.J. Naiman, C. Pringle, M. Reuss, and B. van Wilgen. 2006. Perspective: The challenge of ecologically sustainable water management. Water Policy. 8:475-479. Schlesinger, W. H., E. S. Bernhardt, E. H. DeLucia, D. S. Ellsworth, A. C. Finzi, G. R. Hendrey, K. S. Hofmockel, J. Lichter, R. Matamala, D. Moore, R. Oren, J. S. Pippen, and R. B. Thomas. 2006. The Duke Forest FACE experiment: CO2 enrichment of a loblolly pine forest. in. J. Nösberger, S. P. Long, R. J. Norby, M. Stitt, G.R.Hendrey, and H.Blum, (editors). Managed Ecosystems and CO2 Case Studies,Processes, and Perspectives. Springer-Verlag, Heidelberg Berlin. Jenkinson, R., K. Barnas, J. Braatne, E.S. Bernhardt, M. Palmer, J.D. Allan, and the National River Restoration Science Synthesis. 2006. Stream restoration databases and case studies: a guide to information resources and their utility in advancing the science and practice of restoration. Restoration Ecology. 14: 177-186. Schlesinger, W.H., K.H. Reckhow, and E.S. Bernhardt. 2006. Global change: the nitrogen cycle and rivers. Water Resources Research 42: W03S06. Hassett, B., M.A. Palmer, E. S. Bernhardt, S. Smith, J. Carr, and D. Hart. 2005. Restoring watersheds project by project: trends in Chesapeake Bay tributary restoration. Frontiers in Ecology and the Environment 5: 259-267. Bernhardt, E.S., M.A. Palmer, J.D. Allan , R. Abell, G. Alexander, S. Brooks, J. Carr, S. Clayton, C. Dahm, J. Follstad Shah, D.L. Galat, S. Gloss, P. Goodwin, D.H. Hart, B. Hassett, R. Jenkinson, S. Katz, G.M. Kondolf, P.S. Lake, R. Lave, J.L. Meyer, T.K. O’Donnell, L. Pagano, E. Sudduth. 2005. Synthesizing US River Restoration Efforts. Science 308:636-637. Bernhardt, E.S., G.E. Likens, R.O. Hall, Jr., D.C. Buso, S.G. Fisher, T.M. Burton, J.L. Meyer, W.H. McDowell, M.S. Mayer, W.B. Bowden, S.E.G. Findlay, K.H. Macneale, R.S. Stelzer, W.H. Lowe. 2005. Can’t See the Forest for the Stream? The capacity of instream processing to modify terrestrial nitrogen exports. BioScience 52:219-230. Palmer, M.A., E.S. Bernhardt, J.D. Allan , P.S. Lake, G. Alexander, S. Brooks, J. Carr, S. Clayton, C. Dahm, J. Follstad Shah, D.L. Galat, S. Gloss, P. Goodwin, D.H. Hart, B. Hassett, R. Jenkinson, G.M. Kondolf, R. Lave, J.L. Meyer, T.K. O’Donnell, L. Pagano, P. Srivastava, E. Sudduth. 2005. Standards for Ecologically Successful River Restoration. Journal of Applied Ecology 42: 208-217.